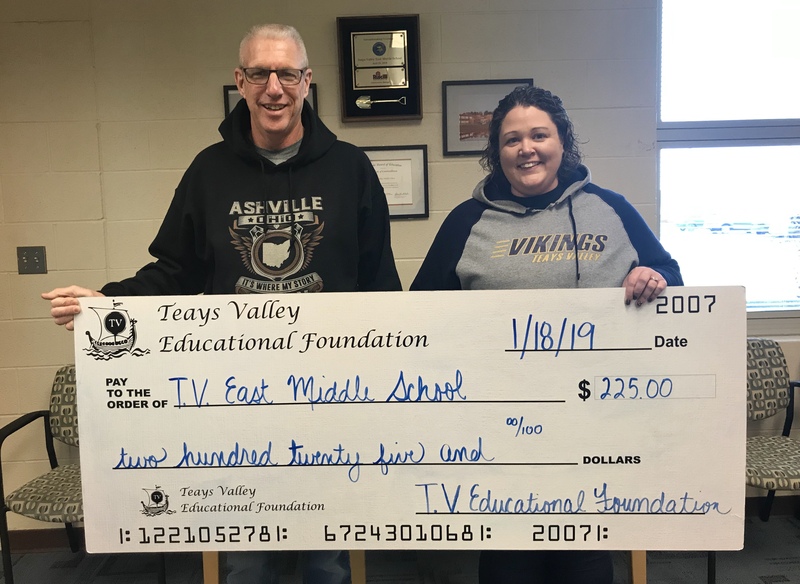 ASHVILLE – The Teays Valley Educational Foundation awarded Teays Valley East Middle School sixth grade math teacher Jennifer Hinton a $225 grant to purchase items to create a mental health kit for her classroom that students can use when they need a break from classroom activities if they are feeling overwhelmed or stressed. “I would like to thank the TVEF for granting me the funds to purchase mental health boxes. I believe these will help students to focus and stay alert and engaged. The use of these tools will open the the door for more opportunities for students to learn and grow,” Hinton said.